Short for Modern American Steakhouse MASH offers an authentic New York Steak house with steaks off high quality. 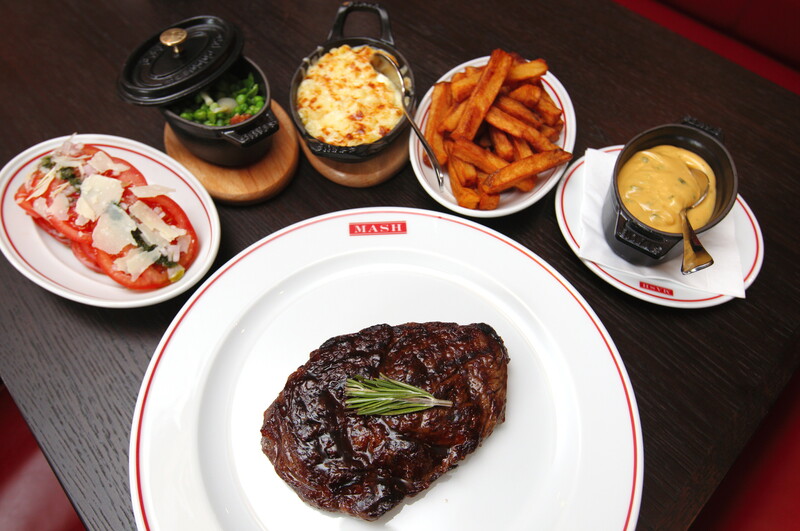 If you are in doubt of which steak you crave MASH are proud of the steaks and displays the raw steaks in a montre which all quest pass on their way to their seat. To accompany a steak a glass of quality wine is always required. Their wine list provides very solid options from France, Italy and overseas wines both by the bottle and the glass. To end the meal please orders an ice cream. Yes an ice cream. Ice cream from Jacob&Jacob is some of the best I have ever had.